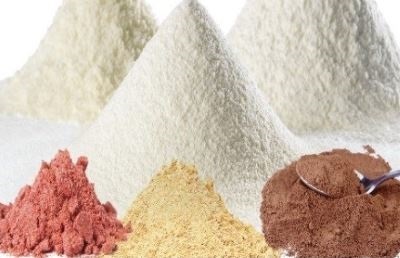 Bulk powders are characterized by seven mechanical measurements and three supporting measurements. This provides a numerical evaluation of the characteristics of a powder by determining the flowability and floodability at the transition points when transferred from a static to a dynamic state. The measured values are assigned to indices based on standardized analysis of about 3000 different bulk materials by R.L. Carr. The Angle of repose measurement characterizes the flowability of a material. Compressibility testing indicates the difference between the aerated and the packed density of material; low compression indicates a good flowability. Angle of spatula relates to the relative angle of internal friction of the bulk powder. The Angle of fall alters the angle of gradient of the cone or heap of material by applying vibration. Dispersibility represents the sum of fugacity, dusting and flushing characteristics of the powder. Angle of difference is the difference between the angle of repose and the angle of fall, a large value indicates that the material has the characteristics of flushing. Supporting measurements are Aerated bulk density, Packed bulk density, and Uniformity.